Formaldehyde is also called methanal or formalin, it is produced by oxidation of methanol. It is made of 37% formaldehyde and impurities such as methanol, small amounts of formic acid, aldehydes and ketones. It is used as a denaturant in formaldehyde-agarose gel electrophoresis of RNA. 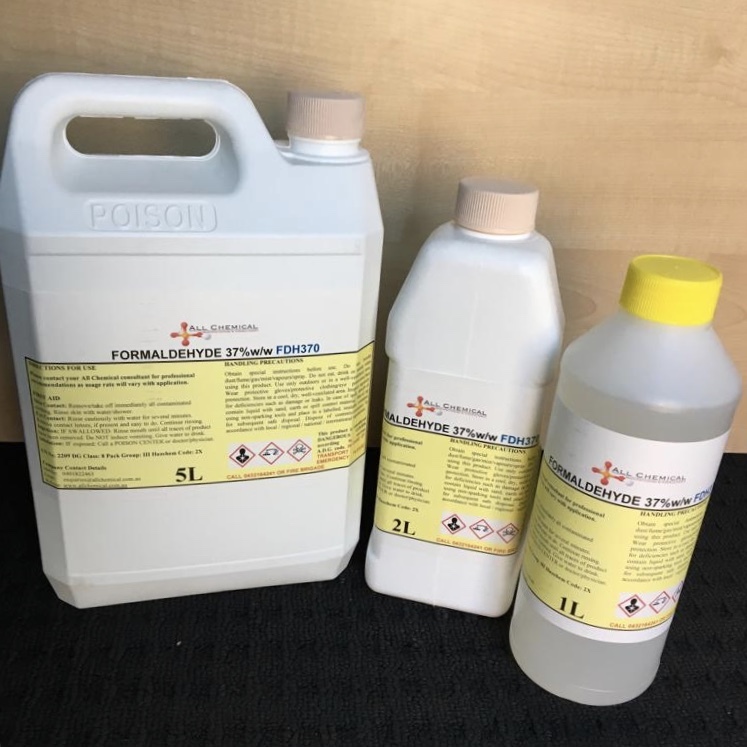 Disinfectant, germicide, fungicide, insecticide, manufacture of organic chemicals, explosives, rubber, resins and dyes, photography, tanning, fabric treatment, chemical analysis and laboratory reagent.